Shankar Chugani started out making people laugh when he didn’t mean to. Then he got more deliberate about it. Drawing from his experiences growing up in a small town and working in tech support, Shankar began by making friends and family laugh, then moved on to entertaining colleagues during chai breaks at work, to finally hitting his first ever open mic at Take 5 in Bangalore. He hasn’t looked back since. Over the last 5 years, Shankar has performed at Bangalore Comedy Festival, Hyderabad Comedy Festival (Masala Mayhem), 150+ corporate shows, numerous college gigs, and countless open mics. This high energy performer has entertained crowds across the country – from small cafes in charming towns to massive audiences in Mumbai, Bangalore, Chennai, Pune, and Goa. 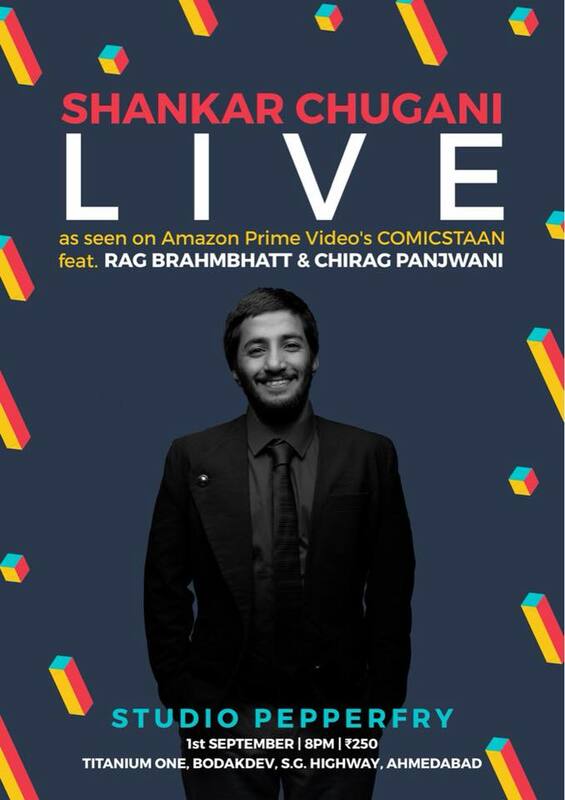 He is one of the top ten finalists on Amazon Prime Original Comicstaan. This show will feature 1 comicstaan finalist and multiple aspirants.